- Before the advent of Islam, the majority of people in the region of Pakistan practiced Buddhism, Zoroastrianism (and its derivatives like Mithraism, Saurism, Manichaeism, etc. ), Animism (nature worship) including Greek/Hellenic Paganism, Shamanism and other deities. - Harappans ate beef, buried their dead, and had no "Hindu" temples/idols/deities. - RigVedic Aryans forbade idolatry, ate beef, sacrificed cows, had no caste system, and were culturally closer to ancient Iranic Avestan speakers. - Under Persian rule, Zoroastrianism started to spread. 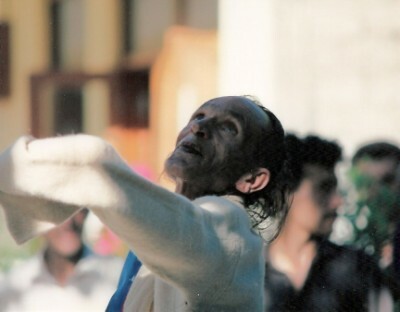 - Similarly, Greek Paganism (Hellenism) spread under the Greeks. - Mauryan Ashoka introduced Buddhism. - Buddhism was later also propagated along with Zoroastrianism, Animism, Shamanism, and Hellenism under the Bactrians, Sakas/Scythians, Parthians, and Kushans for many centuries. - Hephthalites/White Huns were not very fond of Buddhism but it still remained popular among the masses. - The Hellenized-Iranicized Brahmanist and Shaivite converts were a minority in Pakistan. 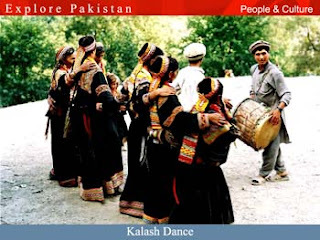 - Kafirs of Kalasha, the only people in Pakistan who have retained their ancient religion are an example of the non-'Hindu' religions practised by the ancestors of Pakistanis. - Many different Gangetic holy 'Hindu' texts call Pakistan region and its people as outlandish, sinful, outcast, mlechas, etc. - The pre-Muslim ancestors of most Pakistanis never called themselves "Hindu" nor practised any religion similar to present-day "Hinduism". Thus, the pre-Muslim ancestors of most Pakistanis had nothing to do with so-called "Hinduism". - The fact is there is barely any trace of "Hindu" past in Pakistan region yet there are plentiful of Buddhist and other non-"Hindu" archeological remains in Pakistan region. The very few Hindu temples found in Pakistan region cannot be dated past the 9th century AD. - When Muslims invaded Pakistan region the majority of its people were Buddhists (as testified in Chachnama), so much so that the word for idol became "budh". - The word/term Hindu/Hinduism is a recent construct. It were the Muslim invaders (Ghorids) who for the first time in history imposed the foreign term Hindu on the many different, unrelated peoples and religions of south Asia. The term Hinduism was given by the British colonialists. Not a single pre-Muslim/British era Vedic, Brahman, Buddhist, Jain, or any other South Asian scripture/inscription mentions the word Hindu/Hinduism. Similarly, Sanata Dharma was a term invented in the 19th century AD by Gangetic Brahmans in their desperate attempt to replace the Muslim/British term Hindu/Hinduism. - Terms such as "Hindu"/"Hinduism"/"SanataDharma" are artificial in nature because of its foreign origins and contradictions in its beliefs/practices. Just because we call all Europeans or their descendants as "Goras" or "Engraiz" (English) it does not make them one people as they have many racial, religious, linguistic, cultural, and historical differences. Take for example the Finno-Ugric peoples of Scandinavia. Though the average Finno-Ugric peoples of Europe resemble the rest of Europeans in physical features (skin color, eye color, hair colors, facial structure), they have a significant contribution of Asian ancestry in their gene pool. This is most notable in their non-Indo-European languages. Also notable is the Finno-Ugric peoples distinct pre-Christian Uralic Asiatic cultures & mythologies which differs from Viking, Celtic and other pre-Christian Indo-European cultures & mythologies of Europe. -By the same token, if the Ghorid Muslim invaders imposed the foreign word/term Hindu on the non-Muslim peoples of south Asia it does not mean that they were one people since there were/are countless different religions, cultures, histories, languages, and races in south Asia. - Also, by the time of Ghorid invasions (12th century AD), Pakistan region was already mostly Muslim. Most of Pakistan region was a part of Arab empires previously (later also ruled by local Muslim kingdoms). Arabs never called them Hindus. So the Ghorid imposition of the artificial term "Hindu" was mostly for present day north India for their ruled non-Muslim subjects. - A small, but significant minority of Pakistanis are descendants of Semitic, Persian, Turko-Mongol and Afghan invaders/migrants, who just like the rest of the ancestors of Pakistanis were Zoroastrians, Animistic Pagans (ie. Shamanic), and Buddhists before Islam. - It was mostly due to Islamic Sufism that the ancestors of Pakistanis converted en masse to Islam. - Pre-1947 region of present-day Pakistan only had less than 15% non-Muslims, out of which half were Sikhs. Many of the Hindus were actual migrants from the region of present day India during the British rule. For example, most of the Hindus in pre-1947 Karachi had migrated from Gujarat and Rajasthan during British rule because of Karachi's economic boom then. The other remaining Hindus of local origin were converts due to Shankarcharya's missionaries from India region during post- 9th century AD period. - The pre-1947 non-Muslim population in present day region of Pakistan had: 6% Hindu and 10% Sikh in W. Punjab, 9% Hindu and 2% Sikh in Sindh, 1% Hindu and 2% Sikh in NWFP, and 2% Hindu in Baluchistan. - According to the UN and other respected organizations, 12 million is the total estimate of migrations from both India and Pakistan (East Pakistan included) of Muslims, "Hindus" and Sikhs combined at the time of independence. So if "Hindus" and Sikhs are taken as 50% of that figure (although there were much more migrations of Hindus/Sikhs than Muslims) of population, that would make about 6 million Hindus-Sikhs in both East and West Pakistan that migrated to India. Now, we know that there was almost an equal (50% each) number of migrants leaving East and West Pakistan (although Hindu population in East Pakistan was much higher), that would make the Hindu-Sikh population in West Pakistan about 3 million. Now we know that West Pakistan's population at that time was about 25-30 million which makes the total Hindu-Sikh population about 10-12% (+ add the current 1.5%) in West Pakistan before partition. Also, it is estimated that out of the non-Muslim population in West Pakistan, +40% were Sikhs, so that leaves Hindus with even lesser numbers. -We know that Sikhs do not consider themselves as Hindus and they are fighting for independence from India. A Shaman in the Hunza Valley, Northern Pakistan drinking blood from a beheaded goat. 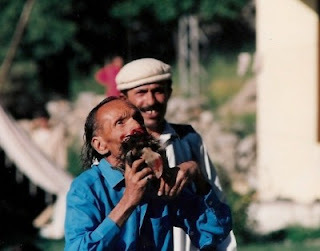 Shaman from the Hunza Valle, Northern Pakistan y performing a dance. Probably ritualistic. Another Shaman form the Hunza Valley, Northern Pakistan performing dance. Shaman in the Hunza Valley, Northern Pakistan playing a flute. In spite of the intrinsic hostility of its landscape and climate, archaeological discoveries have confirmed that Balochistan was already inhabited in the Stone Age, and the important neolithic site at Mehrgarh is the earliest (7000-3000 B.C.) on the subcontinent. Until its overthrow by Alexander the Great, Balochistan was part of the Persian Empire, whose records refer to it as "Maka". In 325 B.C. Alexander led part of his army back from his Indus campaign to Babylon across the Makran Desert at the cost of terrible suffering and high casualties. Thereafter Balochistan lay for centuries on the shadowy borderlands of the Zoroastrian rulers of Iran and the local Buddhist and Hindu dynasties of northwestern subcontinent. Islam was brought to Balochistan in 711 when Muhammad bin Qasim led the army which was to conquer Sindh across the Makran route, but the area was always too remote for firm control to be exerted by any of the later local dynasties. It accordingly receives only very passing mention in the court histories of the time. 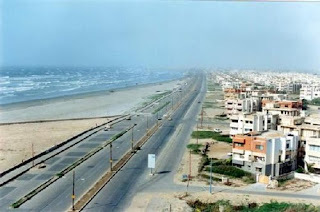 The connections of the inland areas were variously with Iran, Afghanistan and India, those of coastal Makran rather across the Arabian Sea with Oman and the Gulf. The name "Balochistan" only came into existence later with the arrival from Iran of the tribes called Baloch. Just how and when they arrived remains a matter of hot debate, since the traditional legends of their Middle Eastern origins, supposed to have been in the Aleppo region of Syria have been further confused by cranky theories either that like the Kashmiris & Pathans they may descend from the Ten Lost Tribes of Israel, or that they originated from Babylon, since "Baluch/Baloch" is phonetically similar to the names of the god Baal or the Babylonian ruler Belos. The origins of the Brahuis are even more puzzling than those of the Baloch, for their language is not Indo-European at all, but belongs to the same Dravidian family as Tamil, Malayalam and the other languages of south India spoken over a thousand miles away. One theory has it that the Brahuis are the last northern survivors of a Dravidian-speaking population which perhaps created the Indus Valley civilization, but it seems more likely that they too arrived as the result of a long tribal migration, at some earlier date from peninsular India. As they moved eastwards, the Baloch were initially successful in overcoming the Brahuis. Under Mir Chakar, who established his capital at Sibi in 1487, a great Baloch kingdom briefly came into existence before being destroyed by civil war between Mir Chakar's Rind tribe and the rival Lasharis, whose battles are still celebrated in heroic ballads. Although the Baloch moved forward into Punjab and Sindh, the authority of the Moghuls stopped them establishing permanent kingdoms there, although the names of Dera Ghazi Khan in Panjab and Dera Ismail Khan in NWFP are still reminders of the Baloch chiefs who conquered these lands in the 16th century. The Baloch who settled in the plains gradually became largely detribalised, forgetting their native language and increasingly assimilated to the local population, with their tribal origins remaining little more than a proud memory. In Balochistan itself, which came only briefly under the authority of the Moghals, the tables were turned on the Baloch by the Brahuis who succeeded in re-establishing their power in Kalat. Throughout the 18th century, the Khans of Kalat were the dominant local power, with the Baloch tribes settled to the west and to the east of them being forced to acknowledge their suzerainty. The greatest of the Khans was Mir Nasir Khan (1749-1817), whose military success owed much to the regular organization of his army, with its separate divisions recruited from the Sarawan and Jhalawan areas which constitute the northern and southern parts of the Brahui homeland. The Khanate of Kalat became the nearest thing there has ever been to an independent Balochistan. This extended beyond the modern boundaries, since Mir Nasir Khan's authority ran as far as the then insignificant town of Karachi. Although dominated by the Brahuis, they themselves became increasingly "Balochified". Today, for instance, the Brahui language only keeps the first three of its old Dravidian numbers. From "four" upwards Brahuis count in Balochi, in which most are anyway bilingual. With the British expansion into northwestern subcontinent and their disastrous first Afghan war (1839-41), internal power struggles within Kalat prompted the first British military interference, and the signing of a treaty in 1841. The British annexation of Sindh in 1843 from the Talpur Mirs, themselves a dynasty of Baloch descent, and the subsequent annexation of Panjab meant that Kalat and the other regions of Balochistan were now part of the sensitive western borderlands of British India, where the possibility of Russian interference induced a permanent state of imperial neurosis. Although the eastern Baloch tribes were partially pacified by the efforts of Sir Robert Sandeman, it was thought easiest to leave the Khan and his subordinate chiefs in control of most of the rest of Balochistan. The land of Sindh has a hoary past with some of the most striking episodes in history having occurred in its bosom. It has given a slightly different variation of its name to our neighboring country and to the religious majority of its inhabitants. Both the words India and Hindu are derived from Sindhu, which, in Persian became Hind and Hindu (the letter H substituted for S) and in Greek and Roman, Ind (the letter S of Sindh having being dropped). The meaning of the word Sindhu is water, referring to the great river. There is an old belief among Muslims that four rivers had sprung from Heaven: Neel (Nile), Furat (Euphrates), Jehoon (Juxartes) and Sehoon (Sindh). Ancient city of Mohinjadarro, Sindh, Pakistan. The Aryans called the whole of Pakistan, Kashmir and East Afghanistan as Sapta Sindhu -- the land of seven rivers. In Rigveda it is referred to as Sapta Sindhva, while India is named Bharat Varsa (the land of the sons of Bharat, a legendary Emperor).1 Thus, even for the Aryans there were two countries in this sub-continent: Sapta Sindhva and Bharat Varsa. The Assyrians in the 7th century B.C. knew the north-western part of the sub-continent as Sinda. However, when India began to be called Hind by Persians and Arabs, and Ind by Greeks and Romans, the local people continued to call their land, Sindh. This distinction continued for centuries. Arab geographers, historians and travelers also called the entire area from the Arabian Sea to the range of Kashmir mountains Sindh.3 As such, there were always two countries in the sub-continent -- Sindh and Hind. The present Pakistan (including Kashmir and a major portion of Afghanistan) constituting one country, and India, another. As regards the composition of the population of Sindh Province (before Partition) the two main stocks that inhabit Sindh are related to, and common, one with the Punjab and another with Balochistan. The majority stock is that of Rajputs and Jats who are the descendants of Sakas, Kushans and Huns who also constitute the majority of the population the Punjab. During Kalhora rule a number of Jat tribes such as the Sials, Joyas and Khawars came from the Punjab and settled in Sindh. They are called Sirai i.e., men from the north and speak Siraiki language. Two main Rajput tribes of Sindh are: the Samma, a branch of the Yadav Rajputs who inhabit the eastern and lower Sindh and Bahawalpur; and the Sumra who, according to the 1907 edition of the Gazetteer are a branch of the Parwar Rajputs. Among others are the Bhuttos, Bhattis, Lakha, Sahetas, Lohanas, Mohano, Dahars, Indhar, Chachar, Dhareja, Rathors, Dakhan, Langah etc.4 The Mohano tribe is spread over Makran, Sindh and southern Punjab. They are also identified with the 'Mallah' of the Punjab and both have in common a sub-section called Manjari. All these, old Sindhi tribes are known under the common nomenclature of Sammat. The smaller stock is that of Balochi tribes settled in various parts of Sindh mostly during the last five hundred years or so Since they were martial people and ruled over Sindh for some time before the arrival of the British, they acquired vast lands in the province with the result that a large number of present-day Sindhi landlords are of Baloch origin. According to the 1941 census, which was the last one held before independence Balochis formed 23% of the total Muslim population of Sindh. Among the Balochi tribes inhabiting Sindh are the Rind, Dombki, Jakhrani, Leghari, Lashari, Chandio, Karmati, Korai, Jatoi, Burdi, Khosa, Jamali, Umrani, Bugti, Marri, Mazari, Talpur, Brohi, Nizamani, Buledhi, Karrani, Bozdar, Nukharni, Magsi etc. These tribes are spread over Balochistan, Sindh and the south-western districts of the Punjab. Yet a third stock of Sindhi population comprises of the descendants of Muslim conquerors, administrators and missionaries who were mostly Arabs, Persians, Turks or Mughals. They are a tiny minority settled in cities and towns but so deeply absorbed and blended with the other components of the population that all the three together have evolved a distinct language and culture. Of this third element Arabs have contributed alot to the development of Sindhi language and literature and to the advancement of its intellectual and cultural activities. Since the early history of Sindh is intimately related to the history of the Punjab and other provinces of Pakistan it need not be dealt with at length. Only a brief account shall be attempted here, without mentioning the Indus Valley civilization which will be discussed some other time. Dawn of history reveals an Aryan dynasty in power in Sindh. In the Mahabharata (12th or 13th century B.C.) Jayadrath, King of Sindh appears as a partisan of Panduas against their cousins Kauruas. Next historical mention of Sindh is found about 575 B.C. during the time of Achaemenian dynasty. The Iranian General, Skylax, explored Indus in a flotilla equipped near Peshawar, conquered the Indus Valley and annexed it to the Empire of Darius the Great. The conquered province of the Punjab and Sindh was considered the richest and the most populous satrapy of the Empire and was required to pay the enormous tribute of fully a million sterling. Next historical record is that of Alexander's invasion in 326 B.C. A tribe called Mausikanos whose capital is usually identified with Alor (Rohri) is said to have submitted. According to Greek historians the territories of this chief were the most flourishing of all that the Greeks had seen. A few centuries later Roman historians have mentioned Sindh as a rich country. Patala in lower Sindh was known to them as an emporium of trade. Before lmaduddin Mohammad Bin Qasim's arrival here, Rajputs were the ruling race in Sindh and in the rest of northern India. The last Rajput ruler of Sindh was Raja Sahasi II whose dominions extended up to Kashmir. He was a contemporary of Prophet Mohammad and professed Buddhism as did his father Siharus. The rule of Raja Sahasi II ended in 632 A.D. the year Prophet Mohammad died. He was succeeded by his Brahmin chamberlain, Chach, who had become a favourite of Sahasi's wife. Chach ruled over Sindh for about 68 years from 632-700 A.D. His son Dahir was the ruler when Mohammad Bin Qasim arrived here in 711 A.D. The line of rulership before Islam runs thus: Siharus, Sahasi II, Chach, Dahir. The first two were Buddhist Rajputs and the last two Hindu Brahmins. The new Brahmin rulers were extremely hostile towards the Buddhists who were in substantial numbers in Sindh at that time and they had ruthlessly suppressed the Jats and Meds who formed the bulk of the peasantry. Humiliating conditions were imposed on the Jats depriving them of many civil rights. "When Chach, the Brahmim chamberlain who usurped the throne of Rajput King Sahasi II went to Brahmanabad, he enjoined upon the Jats and Lohanas not to carry swords, avoid velvet or silken cloth, ride horses without saddles and walk about bare-headed and bare-footed. "7 It was because of this background that Mohammad Bin Qasim received cooperation from the Buddhists as well as the Jats and Meds during his campaign in Sindh. Among others who did not oppose Mohammad Bin Qasim's advance and made peace with him was the Bhutto tribe.8 In fact he was hailed as deliverer by several sections of local population. The humble position of the Buddhists in Sindh seeking support from outside can be read in the Chach Nama. View of Clifton area. Karachi, Sindh, Pakistan. Before commencing a review of the Muslim period of Sindh's history, we shall speak briefly of the Jats of Sindh (Pakistan) who were known all over Iran and the Middle East for their sturdy constitution and industrious nature. They have a colourful history and an adventurous past. The author of Mujmaul Tawarikh has quoted an extinct Sanskrit work according to which the original inhabitants of Sindh were Jats and Meds. Early Arab writers on Sindh also say that Jats and Meds were important tribes in their time. Ibn Khurdabah mentions 'zutts' as guarding the route between Kirman and Mansura while Ibn Haukal writes: "Between Mansura and Makran the waters from the Mehran form lakes and the inhabitants of the country are the South Asian races called Zutt. The Chinese traveller Yuan Chwang who visited this region in the 7th century A.D. also mentioned Jats. "The Jats claim to be included in the 36 royal Rajput tribes. Some of them state that their forefathers came from Ghazni. But it is generally accepted that they are the descendants of the ancient Getae, or Jeutchi, from Scythia. Some authorities consider that they entered the sub-continent some time in 1500 BC and are the same as the Jattikas mentioned in the Mahabharata, and also identical with the Jatti of Pliny and Ptolemy. Their original home was on the Oxus. "10 According to the Encyclopaedia of Islam, the Jats of the lower Indus comprise both Jats and Rajputs, and the same rule applies to Las-Bela where descendants of former ruling races like the Sumra and the Samma of Sindh and the Langah of Multan are found. At the time of the first appearance of the Arabs they found the whole of Makran in possession of Jats (Zutts). The Persian King Yazdjard had also sought the help of the Sindh ruler who sent Jat soldiers and elephants which were used against the Arabs in the battle of Qadisia. According to Tibri, Hazrat Ali had employed Jats to guard Basra treasury during the battle of Jamal. "Jats were the guards of the Baitul Maal at al-Basra during the time of Hazrat Osman and Hazrat Ali. "13 Amir Muawiya had settled them on the Syrian border to fight against the Romans. It is said that 4,000 Jats of Sindh joined Mohammad Bin Qasim's army and fought against Raja Dahir. Sindhi Jats henceforth began to be regularly recruited in the Muslim armies. Turning to the history of Sindh, it may be divided into seven periods: (1) Pre-Muslim; (2) Arab Rule; (3) Middle Ages from Mahmud Ghaznavi to the establishment of Mughal Rule; (4) Mughal Period; (5) Kalhora period; (6) The Talpur Period; and (7) The British Period. We shall deal with briefly discussing only certain salient features of each period. We have already spoken of the Indus Valley Civilization and the pre-historic period in an earlier chapter. Between the fall of the Mauryan Empire and the arrival of the Arabs i.e., roughly 200 B.C. to 700 A.D., a span of 900 years, Sindh and other parts of Pakistan experienced wave after wave of hordes from Central Asia settling down in these regions. The Bactrians, Sakas, Kushans, the Pahlavas and the Huns etc., came, conquered and settled here. From these stocks, mingled with indigenous blood, ultimately emerged the new Kshatrya ruling class of Hindus later called Rajputs and the peasant class of Jats and Gujjars. 16 The most outstanding aspect of this pre-Muslim period is that Sinh was intimately connected with the rest of Pakistan and not with India. It had either independent kingdoms or kingdoms in common with Pakistan. Several reasons are ascribed to the Arab desire to conquer Makran 17 and Sindh. Firstly, Sindhi Rajas had helped the Persians in their wars against the Arabs. Sindhi forces participated in the battles of Nehawand, ‘Salasal’, Qadisia and Makran and fought against the Arabs. Secondly, when after the conquest of Persia by the Arabs some of their rebel chiefs began to seek refuge in Sindh, its Raja refused to surrender them to the Caliphs inspite of repeated requests. Thirdly, since Arab traders were being constantly harassed by pirates from the Makran and Sindh coasts, a foot-hold in these areas considered necessary to safeguard Arab maritime interests. The first naval expedition undertaken by the Arabs in this ocean was during Hazrat Omar's caliphate in 636 A.D. - 15 A.H. under the command of Osman bin Abi'Aas, the Governor of Bahrain and Oman. He attacked Thana, a port near modern Bombay. A little later he sent another naval expedition to Debal in Sindh under the command of his brother Mughira. Raja Chach was the ruler of Sindh at that time and his kingdom was well defended. Mughira was defeated by the Raja's forces and killed in action. During Hazrat Omar's caliphate the Governor of Iraq also sent an expedition by land to Makran under the command of Rabi Bin Ziad Haris. Though Makran was conquered but the victory was short-lived, as the locals recaptured the country. Makran was, however, permanently conquered during the last days of Hazrat Omar's caliphate in 642 AD - 43 AH. under the command of Hakam Taglabi. Hazrat Osman, the third Caliph had sent Hakim bin Jabala to Sindh in 650 A.D. to collect information. Before him Sahar-al-Abdi had visited Sindh for the same purpose in 643 A.D. during Hazrat Omar's last days.18 The next Arab general to enter Pakistan by land was Muhlib bin Sufra who came through the Khyber Pass in 665 A.D. -65 A.H.
Hajjaj took serious notice of the incident and wrote to Dahir, the ruler of Sindh, for the release of captives as well as the goods which were being sent to the caliphate as presents by the ruler of Ceylon. Not receiving a favourable reply, Hajjaj, with the permission of Caliph Walid, sent a force to Debal under the command of Abdulla bin Nabhan. This force was annihilated by Dahir's army and its commander killed in battle. (According to Dr. Daud Pota the tomb of Abdullah Shah at Clifton in Karachi is of this General, Abdulla bin Nabhan).l9 Again, Hajjaj sent a bigger expedition to Debal, to oppose which Dahir sent his son Jaisia with a fairly large contingent. For the second time Arabs were defeated and their commander Badil bin Tuhfa killed in action at Debal. (According to the British historian Eliot, Karachi and the island of Manora constituted the city of Debal). since the issue had now become one of prestige. The selection of a commander for this expeditionary force had also to be made with due care keeping in view all the aspects of the problem. Hajjaj's choice fell on the young 20 year old (according to some 17) Mohammad Bin Qasim. The army and its Commander were given rigorous training for over one year in the desert of southern Iran which had similar climatic conditions to those of Sindh. Through intelligence reports, all the strong and weak points of the enemy and details of their weapons and defences were collected, studied, and the Arab army equipped accordingly. Hajjaj bin Yusuf went through through the minutest details and after thorough study of the maps of Sindh, guided Mohammad Bin Qasim on the strategy to be followed. Not content with this, Hajjaj made arrangements to convey his messages and orders to Mohammad Bin Qasim from Basra to any point in Sindh within a week. Orders were that Mohammad Bin Qasim should not attack any city or fort or engage his forces in any large-scale battle with the enemy without getting orders from Basra. Even instructions concerning the day and time of attack and weapons to be used in a particular place or battle were sent by Hajjaj. This time Arab armies triumphed and the triumph proved permanent. We shall not go into details which are available in all histories and mention only a few points which have not been high-lighted. As mentioned elsewhere, Sindh had a large Buddhist population at this time but the ruler, Dahir, was a Brahmin. It is said that the Buddhists been receiving constant information from their co-religionists in Afghanistan and Turkestan about the extremely liberal treatment meted out to them by the Arab conquerors of those regions. In view of these reports, the Buddhist population of Sindh decided to extend full cooperation to Mohammad Bin Qasim and even acclaimed him as liberator from Brahmin tyranny. Several principalities in Sindh were ruled by Buddhist Rajas. The Buddhist ruler of Nerun (Hyderabad) had secret correspondence with Mohammad Bin Qasim. Similarly, Bajhra and Kaka Kolak, Buddhist Rajas of Sewastan, allied themselves with Mohammad Bin Qasim.20 On similar grounds, Jats also joined the Arabs against Dahir. But the early Arab period is not one of peace and tranquility. With the recall of Mohammad Bin Qasim the province returned to chaos and confusion. After a few years of anarchy governor Junaid restored normalcy. A short while later, due to bad administration, chaos prevailed again. Conditions were so critical that the next governor, Hakam bin Awanah established a new city called 'Mahfooza' (place of safety) in 732 A.D. - 113 A.H. where all the Muslims collected for safety. Later on, after restoring order and reorganising most of the Province, Hakam’s general Amroo (the son of Mohammad Bin Qasim) built another city 'Mansoora' (victory) near Shahdadpur in 737 A.D. - 119 AH. which became the capital of the Arab kingdom. Because of these unsettled conditions Sindh had to be conquered again and again. Umayyad caliphate was replaced by that of the Abbasids in 750 AD, Sindh became part of the Abbasid dominions. It remained under Baghdad’s control during the Abbasid Caliphs Saffa, Mansoor, Hadi, Haroon, Mamoon, Mutasim, Wasiq and Mutawakkil. In the reign of the last mentioned Caliph, the Governor of Sindh, Umar Hibari, became practically independent owing nominal allegience to the Caliph. Earlier, during the caliphate of Mamoon-ur-Rashid, Sindh Governor Bashar Ibn-e-Dawood had revolted and withheld the payment of revenues, but the revolt was quelled judiciously. It may be of interest to note that the postal and intelligence services of Sindh were directly controlled by the Caliphs. The man who governed Sindh (then covering major portion of present day Pakistan) for the longest period was Dawood bin Yazid bin Hatim who died in 821 A.D. Two members of the famous Baramaka family of Abbasid Prime Ministers ruled over Sindh as Governors during this period. One was Musa Barmakh and the other his son Omar Barmakh. The Barmakh family were said to be originally Kashmiri Buddhists who had migrated to Balkh (now in northern Afghanistan) and after accepting Islam, went to Baghdad where several members of the family had distinguished career. Two of them, Yahya and Jafar, became Prime Ministers of Haroon-ur-Rashid. (The word Barmakh is derived from the Sanskrit word ‘par mukh’ meaning sardar). During the 105 years of Abbasid period when Sindh formed part of their dominions (750-855 A.D.) thirty-one Governors were appointed. The Hibari dynasty which had become independent lasted from 855 A.D. to 1010 A.D. i.e., till the annexation of Sindh by Mahmud Ghaznavi. It was the last Arab government. One of its rulers Abdulla bin Omar Hibari (d. 893 AD) ruled for about 30 years and made great contribution to the cultural and economic development of the province. It was during the Hibari period that Sindh severed its relations with the caliphate; and it was during this period that two separate states emerged in Sindh: one had its capital at Mansura and the other at Multan. In addition, several small "Hindu" states had also sprung up. It was again during the Hibari rule that the Fatimid Caliph Obidullah-aI-Mahdi sent the first Ismaili missionary, Haishan, to Sindh. Sindh being the eastern-most province of the Umayyad, and then of the Abassid Caliphates with loose control from the centre, its political as well as religious life was highly perturbed. In the political field due to internecine quarrels, Muslim governments in the area were divided into two sections: The upper region had Multan as its capital and the capital of the lower region was Mansura near Shahdadpur. Sindh also became an arena of religious acrimonies because of the large number of Ismaili missionaries who visited this country and the herectics who took refuge here. The first Ismaili missionary to visit Sindh was Haisham who came to Sind in 877 A.D. - 270 A.H. He was sent by the founder of the Fatimid caliphate, Obaidullah-al-Mahdi. Among other prominent Ismaili missionaries to visit Sindh were Hazrat Abdullah (1067 A.D.), Pir Sadruddin (1430 AD), his son Kabiruddin, his brother Tajuddin and Syed Yusufuddin, all of whom gained considerable following in Pakistan. Pir Sadruddin had his grand lodge in Sindh and it was he who conferred on the new converts the title of Khwaja (Khoja), meaning honourable. According to Dr. Arnold a number of Ismaili missionaries were sent to Sindh from the famous "Alamut" fort which was the headquarter of Hasan Bin Sabbah who lived in the late 11th and early 12th century A.D.28 Abdullah-al-Ashtar Alvi, a great grandson of Hazrat Ali was among those who had religious differences with the Caliph, was considered a heretic and took refuge here. Because of sheltering him, the Governor of Sindh, Omar bin Hafs was transferred to North Africa by the Caliph. Hazrat Abdullah Ashtar's tomb at Clifton on the sea-shore near Karachi is still visited by devotees. A large number of Sunni missionaries also visited Sindh during the Arab period. The Omayyed Caliph Hazrat Omar bin Abdul Aziz is said to have sent a number of them who were successful in converting several Sindhi landlords. The Abbasid Caliph Mahdi also sent some missionaries who converted a number of Rajas and prominent "Hindus" up to Peshawar. Mohammad Alfi who came with Mohammad Bin Qasim and was among the most successful missionaries, later became adviser to the Raja of Kashmir and settled there. As already stated, during the major portion of Arab rule, Sindh and southern Punjab were rent by political as well as religious rivalries. Since every development in the Middle East had its direct impact on this region, the Fatimid-Abbasid political rivalry with its religious manifestation in the Ismaili-Sunni controversy, found its full echo here, particularly in the 10th century A.D. (early 4th century hijri). Ismaili, or according to some, Carmathian rulers were installed in the upper region whose capital was Multan. It is related that the Fatimid Caliph Imam Abdul Aziz Billah had sent a misionary Jalam bin Shaiban from Cairo to Multan with a sizeable army in 372 hijri (985 A.D.) to establish Ismaili rule which he did, and himself became head of the state. 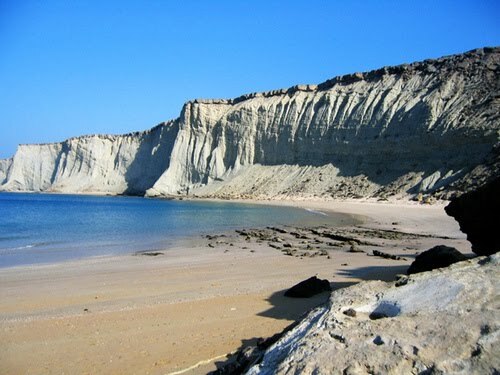 At this time the rulers of Makran and Mansura were also Ismailis. The Sumra family of Sindh which had accepted Ismaili Islam owed allegience to the Fatimid Caliphs of Cairo, sent them presents and zakat and read their name in Friday 'Khutba'. After the fall of the Fatimids, Sindhi Ismailis attached themselves to the Mustali branch of the Ismailis who were functioning from Yemen. (Members of the 'Mustali’ branch are called Bohris in the sub-continent). The history of this period is so confused that it is difficult to state with any certainty as to when and how long Ismaili and Carmathian rulers held sway at Mansura and Multan. There were frequent changes accompanied by enlargement or shrinkag of territories. Ferishta speaks of Shaikh Hamid Lodhi as the first ruler of Multan converted to Carmathian faith. Haig says that Multan was seized by Abdullah, the Carmathian, about 287 hijri (900 A.D.). Ibn-e-Haukal visited in 367 hijri but does not mention the Ismailis and says that the rulers of Multan and Mansura recognised the authority of Baghdad. Al Maqdasi visited Multan in 375 hijri and wrote that the people of Multan were Shias, presents were sent to the Fatimids of Egypt and Ismailis were claiming an increasing number of converts. Al Beruni writing about the 424 hijri says "the rise of the Carmathians preceded our time by almost 100 years i.e., in 324 hijri." Whatever the fortunes of the rulers, there is some ground to believe that Ismaili form of Shiaism continued to be dominant in Sindh and southern Punjab for a considerable time. However, in spite of political chaos and religious confusion, Sindh made great progress in the literary and economic fields during this period. Sindhi scholars and doctors made a mark not only in their own country but in the entire Muslim world. Mathematicians and philosophers from Sindh visited Baghdad in large numbers and made outstanding contribution to the promotion of learning among the Arabs. Several physicians were called from Sindh for the treatment of Caliphs among whom were Ganga and Manka who treated Haroon-ur-Rashid. The latter was a member of Bait-ul-Hikmat of Haroon-ur-Rashid. Another Sindhi doctor who made a mark in the Muslim world was a newly converted Muslim, Saleh bin Bhahla (Bhalla). Among the notable Sindhi ulema were: Maulana Islami who hailed from Debal, accepted Islam during Mohammad Bin Qasim's days and was sent by him as envoy to Raja Dahir for negotiations. Abu Maashar Sindhi was Muslim world's noted scholar of 'seerat and 'fiqh'. He lived at Medina for a number of years and later shifted to Baghdad where he died. He was so much respected that on his death Caliph Mehdi led the funeral prayers. His son Abu Abdul Malik was also an eminent scholar and had settled down in Baghdad. Hafiz Abu Mohammad Khalaf bin Saalem who was a ‘hadees’ scholar had migrated from Sindh to Iraq where he attained fame. Abu Nasr Fateh Bin Abdulla Sindhi was known for his proficiency in ‘hadees,’ 'fiqh' and Ilm-e-Kalaam. He wrote 'Tafseer' in Sindhi and rendered Islamic teachings in such beautiful and forceful Sindhi verse that it gained immense popularity both among Hindus and Muslims. Another ‘aalim’ Ishaque Sindhi, was among the most revered muftis of the Abbasid period. Imam Auzai of Sindh was considered an authority on religion in the Muslim world. Mohammad bin Ali Shwarib, the Qazi of Mansura and his son Ali bin Mohammad bin Ali Shwarib were also renowned scholars. The Arab rulers of Sindh-Multan were extremely liberal, spoke Sindhi and treated their subjects well. They never encroached upon the religious liberties of the "Hindus" and Buddhists and appointed them to positions of responsibility. Mohammad Bin Qasim had appointed Sisakar, the Prime Minister of Raja Dahir, his own Prime Minister, and Kiska, another Hindu, his Revenue Minister. The entire history of Sindh under the Arabs is replete with instances of "Hindus" holding positions of great responsibility and honour. Three per cent of the country's revenues were given to Brahmins as stipends. When some of the district administrators informed the Government that they were experiencing shortage of cows and bulls which were needed for agricuiture and transport, Government prohibited cow slaughter. In the economic field also Sindh made considerable progress. Agriculture received great impetus with foodgrains being exported tothe Middle East. A number of new varieties of fruits were cultivated among which the bananas of Sindh were extremely popular in the neighboring countries. Camphor, neel, banana, coconut, dates, sugarcane, lemons, mangoes, almonds, nuts, wheat and rice are mentioned by almost all visitors as grown in plenty in Sindh. Bishari Maqdasi writes that there were innumerable gardens in Sindh and the trees were tall and luxuriant. The whole city of Mansura was covered with almond and nut trees. Leather and leather goods industry also made great progress during this period. The coloured and soft leather of Sindh was known all over the world markets as Al-Sindhi. According to 'Muruj-uz-Zahab', the shoes of Mansura were very popular in Iran and the Arab world. Imam Hanbal relates that a large number of shoes were imported from Mansura into Baghdad where they were in great demand among the royal family and the gentry. But, he remarks, they were very showy. Arabs also took keen interest in animal husbandry. They improved several breeds of camels, horses, cows, bulls and buffaloes. Sindhi buffaloes were so popular that Arabs used to transport them to their home towns when returning from Sindh. Bishari writes that the people of Multan were prosperous, they did not drink wine and their women did not use cosmetics. Both Arabic and Sindhi were spoken. Regarding Mansura he states that the people were very well-read, courteous and religious. The city had a large number of scholars and the general standard of morals and intelligence was high. Mansura remained the capital of Sindh from 737 A.D. - 120 A.H to 1026 A.D. - 416 A.H. for about 300 years till its conquest by Mahmud Ghaznavi. In late 3rd century Hijri when Multan became the capital of the northern kingdom, Mansura remained the capital of only the south i i.e., modern Sindh. It survived till the Tughlaq period in the 14th century A.D. when it disappeared due to change in the course of river Indus. As during the time of Darius when Sindh constituted the 20th Satrapy of the Achaemenian Empire and considered an extremely rich province, so also during the Arab rule Sindh was regarded a prosperous part of the Caliphate and paid a million dirham per annum as revenue to the Government at Baghdad. 3. Arab-o-Hind ke Talluqat, By Sulaiman Nadvi. 7. Sindhj Culture, By U.T. Thakkur. 8. Tareekh-Sind, By Manlana Syed Abu Zafar Nadvi. 12. Tareekh-e-Sind, Part I, By Ijaaul Haq Quddusi. 14. A Study of History, Vol VII, By Arnold Toynbee. 16. Sind: A General Introduction, By M.T. Lambrick. 17. 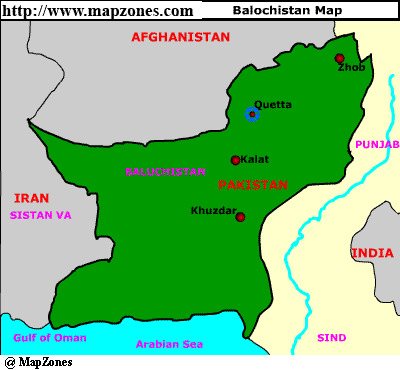 A greater portion of the area now called Baluchistan was then known as Makran. The word Baluchistan came into vogue much later. 22. The Making of India, By Dr. Abdulla Yusuf Ali. 23. Jaunat-us-Sind, By Maulai Shaidai. 24. Imperial Gazetteer of India. 26. Indian Muslims, By Prof. M. Mujeeb. 27. Tareekh-e-Sind, Part 1, By Aijazul Haq Quddusi. 29. Shias of India, By John Norman Hollister. 32. Sindhi Culture, By U.T. Thakut. 33. Tareekh-e-Sind, By Maulana Abu Zafar Nadvi. 34. The Peoples of Pakistan, By. Yu. V. Gankovsky. 35. Arab-o-Hind ke Tallukat, By Syed Sulairnan Nadvi. Although the modern-day states of India and Pakistan were created around the same time (Pakistan on August 14, 1947 and India August 15 1947) out of the British Raj, Indians desperately try to steal Pakistan's heritage, particularly the Indus Valley Civilization! This Indian hegemonic agenda is based on myths and false propaganda for religious and nationalistic imperialism. Also there are many Pakistanis, particularly Islamists, who narrow-mindedly deny/ignore Pakistan's glorious pre-Islamic past. Harappans were certainly the ancestors of most Pakistanis who absorbed or adopted the many waves of invaders/migrants through out the centuries. Indus Valley Civilization was mostly based in the region of Pakistan. 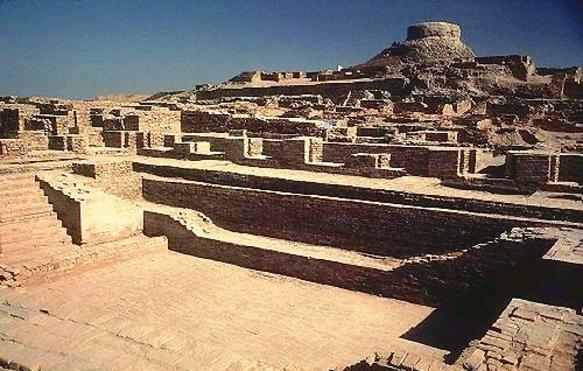 The names used for the Civilization are "Indus Valley" or "Harappan" both in Pakistan. The most largest and important cities are Harrappa and Mohenjodaro, both in Pakistan. Even in the case of the Hakra/Ghaggar river (presently extinct), a tributary of Indus itself, it has far more on the Pakistani side than on the Indian side. The proto-Indus site is also located at Mehrgarh in Pakistan. Indus Valley Civilization, at it's peak, had colonies stretching from Turkmenistan to north Mahrashta, and from southeast Iran to western UP. About 85% of Indians (originating outside of North Western India) have nothing to do with the Indus Valley Civilization, where their ancestors were nomadic forest-dwelling hunters and gatherers at a time period when the sophisticated Indus Valley Civilization was flourishing. Indus/Harappan religion was not what is today called "Hinduism" which is a termenology of British oirigns. (See here http://pakistanipatriots.blogspot.com/2009/07/hinduism-is-fiction-created-by-british.html). Not a single "Hindu" temple, idol, or statue has been found at the excavated Indus sites. Harappans buried their dead, ate beef, and were not Vedic (the Vedic in turn were also not "Hindu"). The "Great Bath" was common in many civilizations such as among the Greaco-Romans and the Mesopotamians. Decpicted on some Indus seals, the "deity" wearing the horned head-dress looks nothing like Shiva, and similar deities were common in other civilizations like the Celtic "Cernunnos". Bull seemed to be sacred among Harappans similar to Mesopotamians and Minoans, but not the cow. A people may evolve by adopting new ideas/beliefs, change with political enviorenment, and racially get mixed with other peoples, but that does not erase their history. Pakistan-- the land and people of Indus directly inherits one of the greatest ancient civilizations of the world, just the same way present-day Iraq, Greece, and Egypt (all three countries and names also of recent origin) inherits their own great ancient civilizations. It is irrelevant that the descedents of Harappans are now mostly Muslims (Pakistanis). Descedents of ancient Mesopotamians and Egyptians are also now mostly Muslims, descedents of ancient Greeks and Romans are now mostly Christians. It is time that all Pakistanis take pride in their past, and protect their heritage from the theivery of other countries like India. -- Article contributed by Asad Jatoi. The Afghan-Pakistani border is a settled issue. About twenty-three miles south of Pillar XII, which is erected on the Saricol range of Pamir, lies the beginning of the “North West Frontier”. Pillar XII is located at latitude 37o20′5″N and longitude 74o24′50″E. It was erected by a joint Anglo-Russian Commission in September 1895, on the left bank of a tributary of the Tegermen-Su river, one mile from its mouth; and it is the last among pillars, which carry the Russo-Afghan frontier from the eastern end of Lake Victoria (Wood’s Lake) to the Chinese frontier. The protocol embodying the final agreement was signed on July 22, 1887 and is known as the Pamir Agreement. The demarcated boundary according to the ‘The Pamir Agreement’ remains unchanged to this day. This border was internationally recognized as the border between the former Soviet Union and Afghanistan. Today this boundary is the internationally recognized border between the Central Asian countries (former Soviet republics as successor independent states of Uzbekistan, Turkmenistan, and Tajikistan) and Afghanistan. The demarcation of the Durand Line was carried out in fulfillment of the Anglo-Afghan agreement’ of November 12, 1893 between Amir Abdul Rahman Khan of Afghanistan and Sir Henry Mortimer Durand, Foreign Secretary to the Government of the British Raj (the former British colony in South Asia now composed of India, Pakistan and Bangladesh). – The International Border between Pakistan and Afghanistan is based on the map attached with the original Agreement of 1893. – Clause 6 of the Agreement clearly states that the agreement is regarded by both the parties as a full and satisfactory settlement of all the principal differences of opinion which have arisen between them. The Agreement has been reaffirmed by successive Afghan rulers. – Notes were exchanged between His Majesty’s Government and Afghan Minister in London, 1930 (His Highness General Shah Wali Khan to Mr. Arthur Henderson), Afghan Legation 6th May 1930. Both parties ~greed that it was their understanding that the Treaty of Kabul of 22 November 1921 continued to have full force and effect. – A country to country treaty does not need any revision unless both parties desire change. – International Agreement once finally concluded can be revoked only bilaterally and not unilaterally. – Unless otherwise provided in the concluded treaty about its duration, the treaty becomes of a permanent nature. This is applicable to the 1893 Treaty Agreement. – International Law does not lay down the maximum life period of one hundred years for an internationally concluded border agreement between the two states, when fixed border validity has not been mentioned in its text. It goes beyond doubt to say that the international border between Pakistan and Afghanistan is a settled matter and is globally accepted. It is supported by International Law and the treaty of 1893 has been ratified several times by successive Afghan governments. As long as Afghanistan refuses to accept the Durand Line as the permanent international boundary between Pakistan and Afghanistan, there is no reliable way to combat extremism and terrorism in the region. Durand Line – the present border between Afghanistan and Pakistan – was agreed to as official boundary line between the British Raj and Afghanistan on 12 November 1893. Sir Henry Mortimer Durand from the British side and Amir Abdul Rahman Khan from the Afghan side signed the historical document. Pakistan and Afghanistan, as successor states, are bound to honor this agreement. The present spread of religious intolerance and extremism in the region is, in great part, attributable to the fact that the successive and successor governments of Afghanistan have declined to accept the Durand Line as permanent boundary between the two countries. Uncertainty of the boundary rules and impermanent nature of the physical border are playing in favour of extremist elements on both sides of the dividing line. Moreover, there was a whisper campaign a while ago that the Durand Line agreement was valid for 100 years and after that the document is legally null and void now. The original text shows that there is no time-expiry clause in the agreement. 1. The eastern and southern frontier of High Highness’s dominions, from Wakhan to the Persian border, shall follow the line shown in the map attached to this agreement. 2. The Government of British India will at no time exercise interference in the territories lying beyond this line on the side of Afghanistan, and His Highness the Amir will at no time exercise interference in the territories lying beyond this line on the side of India. 3. The British Government thus agrees to His Highness the Amir retaining Asmar and the valley above it, as far as Chanak. His Highness agrees on the other hand that he will at no time exercise interference in Swat, Bajaur or Chitral, including the Arnawai or Bashgal valley. The British Government also agrees to leave to His Highness the Birmal tract as shown in the detailed map already given to High Highness, who relinquishes his claim to the rest of the Waziri country and Dawar. His Highness also relinquishes his claim to Chageh [now, Chagai. Ed.]. 4. The frontier line will hereafter be laid down in detail and demarcated, wherever this may be practicable and desirable, by Joint British and Afghan Commissioners, whose object will be to arrive by mutual understanding at a boundary which shall adhere with the greatest possible exactness to the line shown in the map attached to this agreement, having due regard to the existing local rights of villages adjoining the frontier. From the crest of Khwaja Amran range near the Pasha Kotal, which remains in British territory, the line will run in such a direction as to leave Murgha Chaman and the Sharobo spring to Afghanistan, and to pass half way between the New Chaman Fort and the Afghan outpost known locally as Lashkar Dand. The line will then pass half way between the railway station and the hill known as the Mian Baldak, and, turning southwards, will rejoin the Khwaja Arman range, leaving the Gwasha Post in British territory, and the road to Shorawak to the west and south of Gwasha in Afghanistan. The British Government will not exercise any interference within half a mile of the road. 6. The above articles of agreement are regarded by the government of British India and His Highness the Amir of Afghanistan as a full and satisfactory settlement of all the principal differences of opinion which have arisen between them in regard to the frontier; and both the Government of British India and His Highness the Amir undertake that any differences of detail, such as those which will have to be considered hereafter by the officers appointed to demarcate the boundary line, shall be settled in a friendly spirit, so as to remove for the future as far as possible all causes of doubt and misunderstanding between the two Governments. 7. Being fully satisfied of His Highness’s good-will to the British Government, and wishing to see Afghanistan independent and strong, the Government of British India will raise no objection to the purchase and import by His Highness of munitions of war, and they will themselves grant him some help in this respect. Further, in order to mark their sense of the friendly spirit in which High Highness the Amir has entered into these negotiations, the Government of British India undertake to increase by the sum of six lakhs of rupees a year the subsidy of twelve lakhs now granted to His Highness. Note: Original agreement is available in the national archive of Pakistan. This report has been produced from the copy available at the Area Study Center, Peshawar University. – Afghanistan was created in 1747 AD by the Punjab-born (city of Multan in present-day Pakistan) Pashtun named Ahmed Shah Abdali. The fact is Abdali conquered the Tajiks, Hazaras, Uzbeks, Turkmens, Balochis, Punjabis, etc. This was a forceful occupation of various lands/peoples subdued to the Abdali monarchy. Per Encyclopedia Britannica, “Ahmad Shah began by capturing Ghazni from the Ghilzai Pashtuns, and then wresting Kabul from the local ruler. In 1749 the Mughal ruler ceded sovereignty over Sindh Province and the areas west of the Indus River to Ahmad Shah in order to save his capital from Afghan attack. Ahmad Shah then set out westward to take possession of Herat, which was ruled by Nadir Shah’s grandson, Shah Rukh. Herat fell to Ahmad after almost a year of siege and bloody conflict, as did Mashhad (in present-day Iran). Ahmad next sent an army to subdue the areas north of the Hindu Kush. In short order, the powerful army brought under its control the Turkmen, Uzbek, Tajik, and Hazara tribes”. – Now many people can argue that Afghanistan’s creation was illegal because the land belonged to Persian-based Safavids/Sassanians/etc and South Asian-based Mughals/Mauryas/etc until Abdali’s creation in 1747 AD. But the fact of the matter is people and its lands constantly evolve to new geo-political environments changing boundaries and nation-hoods. Prior to 1747 AD, the region of Afghanistan was ruled by Persian Achaemenians and Sassanians, Greeks, Scythians, Hepthalites, Arabs, Turkics, Mongols, and many others (currently by NATO). Mauryas and Mughals ruled a large portion of present-day Afghanistan (almost all of Pashtun areas). By the way, the Muslim rulers of South Asia were mostly Turko-Mongols originating from Central Asia who also ruled the Pashtuns. – Afghanistan’s creation was legal in the same way Pakistan, Tajikistan, Uzbekistan, etc. were created later on. The boundaries between Iran and Afghanistan, Afghanistan and Pakistan, Afghanistan and Tajikistan/Uzbekistan/Turkmenistan, etc were created by the British and Russians. So the few Afghans beating the drum of Durand Line (Pak-Afghan boundary) is pointless. By the same token, all boundaries of Afghanistan are questionable. Why should only Pashtun areas of Pakistan be merged to Afghanistan? Afghanistan is a multi-ethnic country like Pakistan. Should Tajikistan lay claim to Tajik lands of Afghanistan, Uzbekistan to Uzbek lands in Afghanistan, Turkmenistan to Turkmen lands in Afghanistan, etc.? – The mostly ethnicity-based countries like Tajikistan, Uzbekistan, & Turkmenistan have much more stronger claims to Tajik, Turkmen, & Uzbek lands of Afghanistan because Afghanistan is a multi-ethnic country like Pakistan, so a multi-ethnic Afghanistan has no right to claim only Pashtun lands of Pakistan. How about Pakistan claiming Pashtun lands of Afghanistan instead since Pashtuns are being oppressed in Afghanistan, Pashtuns in Pakistan are comparatively much more prosperous, and Afghans are desperate to flee to Pakistan. By the way, Pashtuns are not the only ethnic group divided between two countries, e.g. Azeris are divided between Iran and Azerbaijan, Tajiks between Afghanistan and Tajikistan, Uzbeks between Afghanistan and Uzbekistan, Turkmens between Afghanistan and Turkmenistan, Balochis between Pakistan, Iran and Afghanistan, Kurds between Iran, Turkey, Iraq and Syria, Arabs between many different countries, etc. – If Durand Line of boundary is artificial then how valid are the boundaries between Afghanistan and Tajikistan, Uzbekistan, Turkmenistan, Iran, etc…. or all countries of Middle East (Sykes-Picot treaty).. created by former European colonialists such as the British, French, and Russians. Lets not forget the “Great Game” on how the Brits and Ruskies created Afghanistan’s boundaries as a buffer zone between them. We know how the Soviets created Tajikistan, Uzbekistan, and Turkmenistan… “In 1886 a Russian army fresh from its conquest of the Oasis of Merv, in today’s Turkmenistan, occupied the Panjdeh Oasis near Herat. It was also the time of The first Great Game. Britain immediately warned Russia that any further advance towards Herat would be considered as inimical to British interests. As a consequence of the May 1879 Treaty of Gandamak after the Second Afghan War, Britain took control of Afghanistan’s foreign affairs. After the Panjdeh incident a joint Anglo-Russian boundary commission, without any Afghan participation, fixed the Afghan border with Turkestan, which was the whole of Russian Central Asia, now Tajikistan, Uzbekistan and Turkmenistan (though Tajikistan being part of Turkestan is questionable since Tajikistan is not a Turkic-speaking country). Thus as a consequence of the competition between Britain and Russia, a new country, the Afghanistan we know today, was created to serve as the buffer.” …..Now on the Afghan-Iran boundaries created by the British/Russians, according to Encyclopedia Britannica, “In 1863 Dost Mohammad retook Herat from Iran with British acquiescence…. The boundary with modern Iran was firmly delineated in 1904, replacing the ambiguous line made by a British commission in 1872″. – In 1947 and beyond the Congressite followers of Badshah Khan continued to ask the Gandhi question “The Pathans should have had a choice between Afghanistan, Pakistan and India”. The Muslim League had correctly argued that the British had no right to ask that particular question, since they did not ask Nagaland if it wanted to join Burma, nor did they ask Tamil Nadu if it wanted to join Sri Lanka. Thus the Durand Line became the border between Pakistan and Afghanistan. 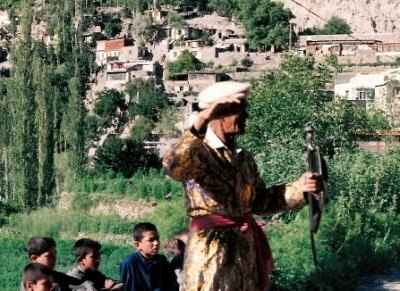 – Knowing the bitter enmity between Tajiks/Hazaras and Pashtuns in Afghanistan, Tajiks/Hazaras will never allow Afghanistan to become 75% Pashtun (from 40%) by only integrating Pashtun areas of Pakistan. – The word Afghan in the past might have referred to a Pashtun tribe(s), but that meaning evolved to another one. Today, an Afghan is defined as only a citizen of present-day Afghanistan regardless of ethnicity. There are countless other examples on how a word’s meaning evolves to a different one over time. – NWFP of Pakistan is not all Pashtun, large areas of this land are Hindkowi, Shina, Khowari, Gujjar, etc. most linguistically related to Punjabi. Majority of Balochistan is Baloch who also have bitter rivalry with the Afghans and do not want to be part of Afghanistan. – Millions of Pakistani Pashtuns inhabit in the provinces of Punjab and Sindh such as cities of Karachi, Lahore, Islamabad… not to mention millions of Afghan refugees in Pakistan. Since the 1980s the Durand Line has been a porus line for men and material. During the Soviet occupation of Western/Northern Afghanistan, some portions of Eastern/Southern Afghanistan (at least the Pashtun portions) literally became part of free Afghanistan, a satellite of Pakistan. 6 million Afghans came to Pakistan as refugees. More than one million Afghan children were born in Pakistan. – Pashtuns have much more in common with Pakistanis than with Afghans plus there are much more Pashtuns in Pakistan than in Afghanistan. Pashtuns are linguistically Indo-Iranic. Linguistically, Pakistanis are 99% Indo-Iranic, whereas Afghans are only 84% Indo-Iranic. Punjabi, Sindhi, Balochi, Kashmiri, Urdu (Undri), Pashto, & Dari are all Indo-Iranic languages which means they are related to each other and have a common origin. 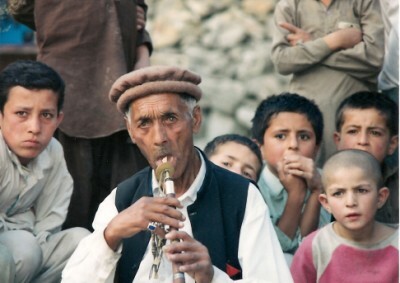 About 16% of Afghans are linguistically Altaic such as the Uzbeks, Turkmens, etc. These Altaic Afghans are linguistically distinct and unrelated to the Indo-Iranic peoples. Additionally, Pashtuns are racially mostly Caucasoid as the rest of Pakistanis are also mostly racially Caucasoid (slightly mixed with a little Dravidoid, Mongoloid, Negroid and other few foreign bloodlines). On the other hand, Afghans are only 66% Caucasoid. Hazaras, Turkmens, Uzbeks, (and some Tajiks) etc. are mostly Mongoloid by race. -Despite the Hazaras being linguistically Indo-Iranic, they share a common Altaic background with Uzbeks, Turkmens, Mongolians and other racially Altaic peoples.